Jedi Knight is the sequel to the classic Dark Forces, which was called the "Star Wars version of Doom." Released in 1997, Jedi Knight: Dark Forces II became one of the best-selling Star Wars titles of all time. It marked the first time gamers could play a Jedi, and for that it was met with commercial and critical success almost instantly. 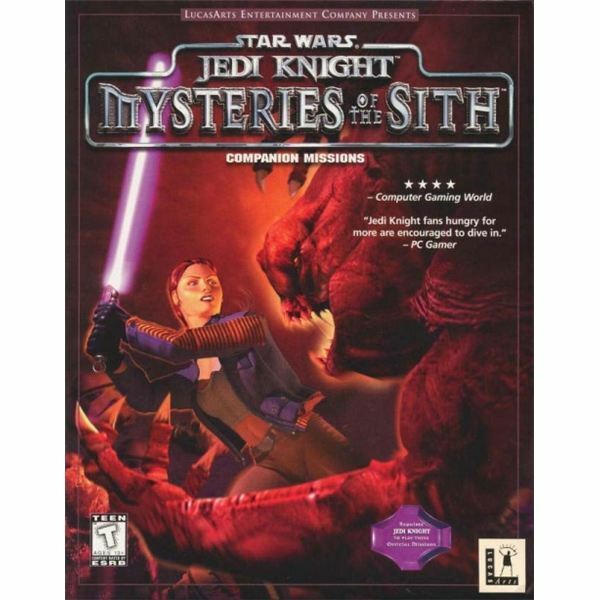 Nearly 15 years later, it still inspires a cult following, especially with the recent release of the Jedi Knight collection on Steam, containing all games in the Dark Forces series, including the Mysteries of the Sith expansion pack for Dark Forces. Beyond that, it was also one of the first Star Wars first person shooters. X-Wing was a fantastic space combat simulator. Knights of the Old Republic would become of the finest role-playing games ever created. 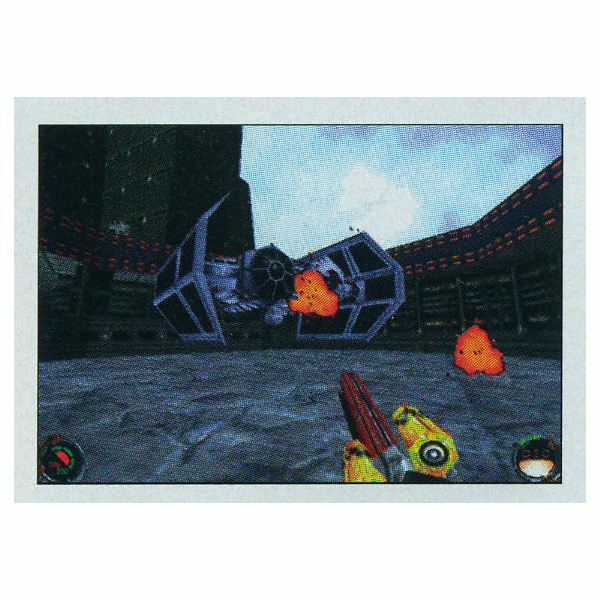 Until 1997, however, the only other mainstream Star Wars FPS was the original Dark Forces, and fans were clamoring for more. Lucasarts delivered, and they delivered well. Remember, this was a long time ago in a galaxy far, far away – before the prequel debacle had been unleashed upon the world. Star Wars was still every man-child's fondest childhood memory, and fans wanted more, more, more. The market is a little oversaturated with games based on the franchise today, but it's easy to see why this game was so well loved upon its release. However, how well has it stood the test of time? Read this Jedi Knight review to find out. 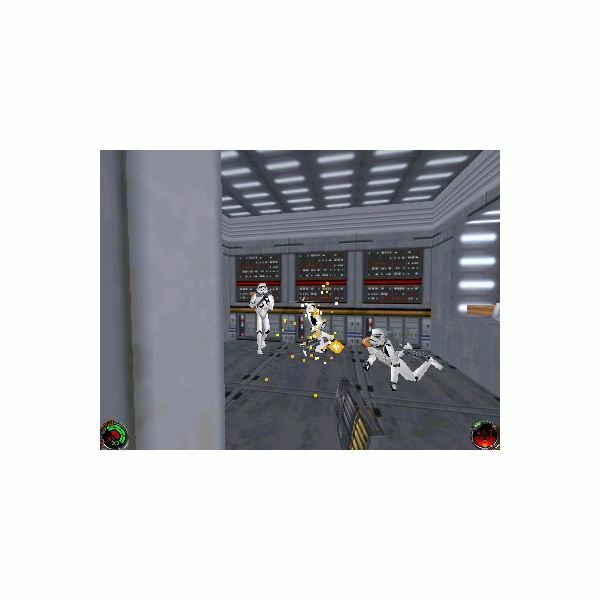 Taking place after the events of the original Dark Forces, players once again assume the role of Rebel operative Kyle Katarn, who destroyed the Arc Hammer, a gigantic dark trooper factory, in the first game. This time, Katarn's investigating his father's death, but Kyle realizes that he is sensitive to the Force. His mission takes players to a dozen planets as he uncovers a Sith plot to harness the Valley of the Jedi. I don't want to ruin anything for new players, but the story is pure Star Wars, much like Knights of the Old Republic, which came out in 2003, six years later. Throughout the game, Kyle unlocks additional Force powers, becoming a powerful Jedi in his own right. He's on a race against the Sith to stop them from unlocking a terrible power, but he's largely on his own. There's Jan Ors, his faithful companion from the first game, but she's always working behind the scenes to provide support to Katarn. It does feel like Star Wars, but the atmosphere is grittier (partly due to the bleak art design), and the worlds Katarn visits always feel a little lifeless. There are stormtroopers, Sith, and other enemies to burn down with your lightsaber, but they're empty. It's a problem common to many older games. They don't have shops, stores, and homes. They're just endless corridors and control rooms which open up doors. Thankfully, you're too busy slicing your way through hordes of stormtroopers that you rarely take a moment to look around. The atmosphere might be lacking compared to contemporary games, but it doesn't feel like a significant problem. If there's one aspect that Dark Forces II absolutely nails, it's the gameplay. At first it's a rather (by now) common FPS experience. You have a number of guns that you shoot at enemies, they die, and you pick up more ammo to repeat over and over and over again. side note about the guns, though: most of them are laser based, and I'm not a physics major, but aren't lasers supposed to travel at the speed of light? Everytime I shoot an enemy with my trusty blaster rifle, I feel like I'm sniping the way I have to lead enemies with my fire. On the other hand, that makes dodging enemy fire decidedly easier. Fighting with blasters harks back to the days of old school, run and gun FPS. It's standard fare, and were Jedi Knight's only offering, the game would have been forgotten years ago. Several missions in, the game becomes amazing. Kyle Katarn acquires his first lightsaber, which is "an elegant weapon from a more civilized age." Lightsabers are definitely cool, but they're basically physics-defying laser swords. Know what's even cooler? Force powers. Jedi Knight did unique gameplay long before Max Payne or BioShock. Force speed allows you to run around and attack enemies incredibly quickly, but you can also choke enemies, throw them away, and use Palpatine's signature lightning to turn stormtroopers into tomorrow's breakfast bacon. Everything from the movies is in the game and then some. The addition of lightsabers and Force powers alone give the game considerable replay value. Back in 1997, multiplayer services like Battle.net were just hatching in developers' minds and were yet to come to fruition on a large scale. With that said, if you want to play multiplayer, prepare to set up a LAN. Then again, LANs are really a late 1990s, early 2000s type of thing. Who even sets those up anymore besides teenagers and gaming competitions? Sure, people complained about Starcraft 2's lack of LAN support, but what percentage of gamers would actually take advantage of it? The Internet had severe latency problems 15 years ago, but today most people play games just fine with very little to no lag at all. 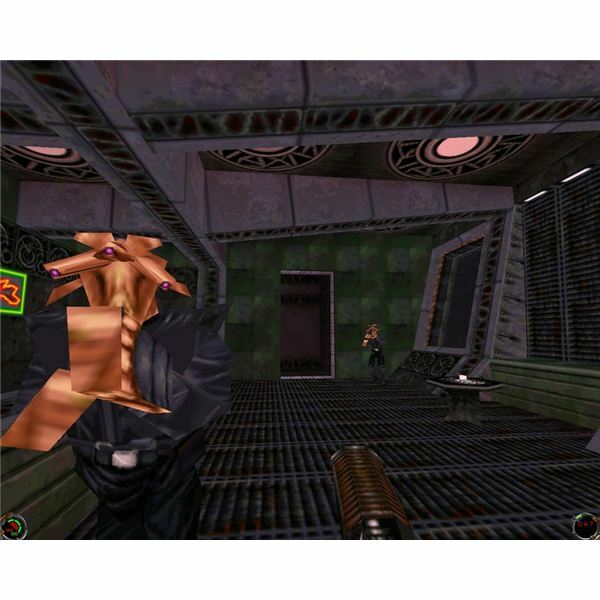 With Dark Forces II, you have to set up a LAN and drag your buddies over for some multiplayer action. Getting it to work online is possible, but you have to jump through some hoops. The game used to host multiplayer matches on MSN Gaming Zone, but that service has been defunct for years now. Try Voobly to compete against others online. Having friends gaming in the same room is a ton of fun, but it's pretty difficult to manage that on a regular basis. My suggestion? 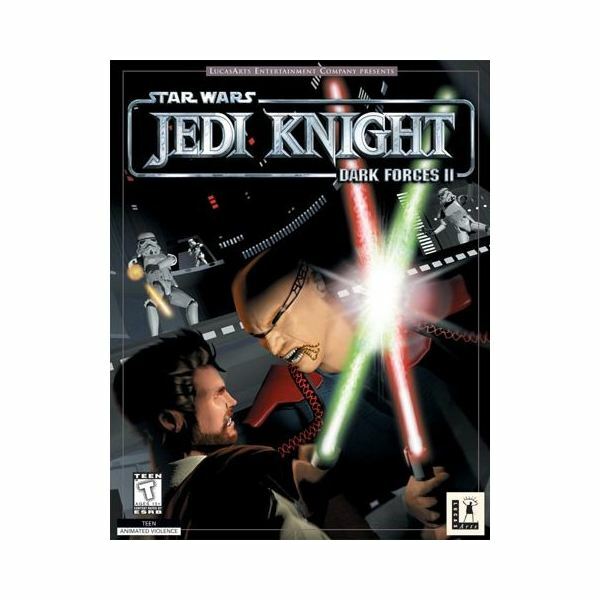 Pick up Jedi Knight II: Jedi Outcast, the 2002 sequel to Dark Forces II, which does feature extensive online multiplayer. Considering how limited Jedi Knight's multiplayer modes are (a basic selection of deathmatch and capture the flag), don't expect to remain entranced for days and days on end. While the potential for fun still exists, I can't recommend this game's multiplayer when much better alternatives exist. 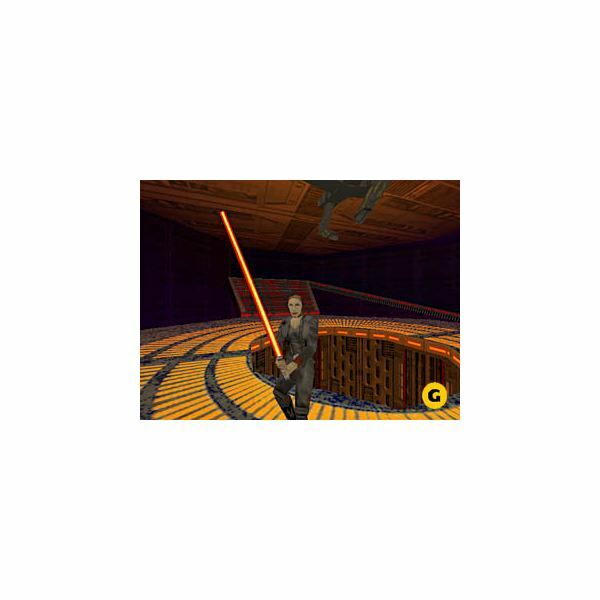 When the game was released back in 1997, Jedi Knight was hailed for its incredible game engine. Everything, including character models, was rendered in 3D back when full 3D was new and fresh. For 1997 graphics, the game gets 5 stars. For 2011 graphics, not so much. I'm not comparing the game's graphics to today's games. Instead, I'm simply looking at how comfortable the game is to look at. The game is murky. Of course it's not fair to argue that the game should be as clean cut as Crysis, but Jedi Knight's colors seem to blend into one another so you're often not quite sure what you're looking at. Look at the screenshot to the left. Am I looking at his hands or flesh colored paper weights? Most of the character models are incredibly boxy, but that's more a limitation of the game engine than a fault of the art department. As you can see from the screenshot, environments tend to fare better. These older games rely on art design more than fancy special effects, and there's a reason why Baldur's Gate and Starcraft continue to appear very playable – their different art designs are both colorful and clear even though they're both 2D. Moving onto sound in Dark Forces II, it very clearly benefits from John Williams' score for the movies. A full half of the Star Wars experience is the soundtrack, and you can't be immersed in the universe without hearing the attack on the Death Star or when Luke gazes out on the binary stars of Tatooine. Of course there are some new, unmemorable tracks, but they occupy a neuron in your brain for about three seconds before disappearing. ny computer purchased in the past decade should, at least theoretically, run Jedi Knight. I say theoretically because while the CPU horsepower is there, most computers run into compatibility problems, especially with the Steam version of the game. My main computer is an i7 920, Radeon 5870 PC running 64-bit Windows 7, and I barely got the game running after half an hour of troubleshooting. Considering how much trouble I went through to get my Steam version of Knights of the Old Republic running, I'm willing to be that the CD version of Jedi Knight runs much more smoothly. Good luck finding it cheap though. New copies start at $45 on Amazon, but the entire Jedi Knight collection (including the original Dark Forces) is available on Steam for an attractive $20. Run in compatibility mode by clicking on the program shortcut, properties, and compatibility. Check "run this program in compatibility mode," then select an earlier version of Windows. In the Jedi Knight options screen, disable hardware acceleration and try running the software renderer instead. Some new video cards and drivers seem to run the game okay with hardware acceleration, but most have problems. If those Jedi Knight Steam fixes don't work, try downloading some of the unofficial patches from the above link. They're not supported by Valve or Lucasarts, but they solve 99% of any remaining problems. 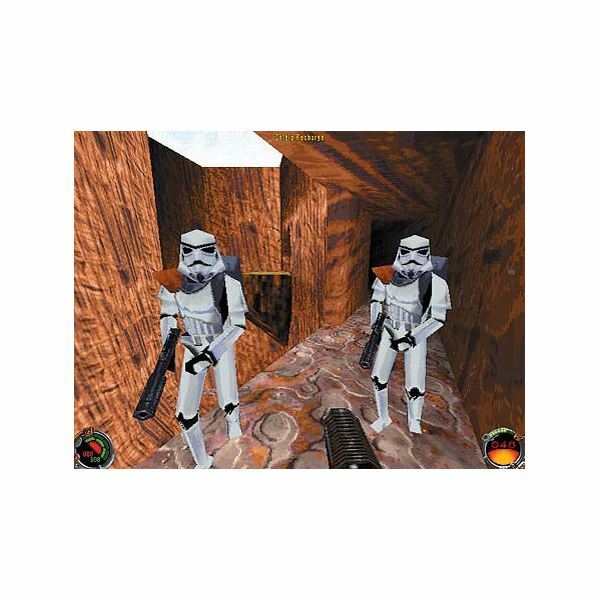 Even after the lackluster multiplayer, clunky graphics, and numerous bugs on today's computers, Jedi Knight: Dark Forces II revolutionized first person shooters in a way that no Call of Duty or Halo title ever dreamed of. The lightsaber mechanics and Force powers are still solid after nearly 15 years, though the other weaponry feels sluggish. Better yet, Jedi Knight paved the way for two more incredible games, Jedi Outcast and Jedi Academy, continuing the adventures of Kyle Katarn and, in the second sequel, his apprentice. The story is faithful to the Star Wars universe to a point, but there are games which better capture the atmosphere of the movies, including both of Jedi Knight's sequels. Even with its faults, Jedi Knight will forever be remembered as the first time players took control of a full fledged Force wielder, able to battle a dozen enemies once and emerge unscathed. Other games have certainly done it better since, but that shouldn't detract from the experience. That just means those games are even more entertaining. Overlooking the laughable cutscenes (I appreciate the effort it took to film live action sequences), Jedi Knight remains an incredibly fun Star Wars FPS – if you can get it to work. All images and references from Star Wars Jedi Knight: Dark Forces II, Overclock.net, and author’s experience. A collection of articles about Star Wars Jedi Knight.